These terms and conditions will apply to all sales of products made by Natural Tile to our customers. 'Goods' means the products which we are selling to you as set out in the Order. 'Order' means a document whether in hard copy or electronic form produced by us setting out the Goods we are to supply to you under these terms. ‘Unexpected Event’ shall have the meaning given to it in clause 12. ‘We’ and 'Us' and related expressions mean Natural tile company as detailed above. ‘You’ and 'Your' and related expressions means the person to whom the order is addressed. ‘Consumer’ means any person who, in buying goods is acting for purposes that are outside their business. ‘Special orders' means any goods which are made to your specification, non-stocked items which are ordered specifically for your order, or items which are clearly personalised. 2.2If any terms are inconsistent with the terms of the Order, the Order shall prevail. 2.3The Order is an offer by you to enter into a binding contract, which we are free to accept or decline at our absolute discretion. 3.1With the exception of ‘special’ orders, you may amend your order with us at any time before the packing date. Please contact Online Sales on 0844 800 9398 or email info@naturaltilecompany.co.uk. Order amendments notified to us after the scheduling date may delay the previously agreed delivery date and time. We will endeavour to amend your order in time for dispatch as previously agreed; however should there be insufficient time we will make contact with you to re- arrange a later delivery date. 3.2With the exception of ‘special’ orders, you may cancel your order with us at any time between the date we accept your order and 3 working days after the goods were received by you. Please see our returns policy in section 11. Please contact Online Sales on 0844 800 9398 or email info@naturaltilecompany.co.uk. If you cancel your order, you shall have no further claim against us under that contract. 3.3If you exercise your right to cancel or amend your order, any refunds due will be refunded within 30 days. 4.1.1 comply in all material respects with their description on the Order;. 4.2 The warranties set out in this clause 4 are in addition to your legal rights in relation to Goods which are faulty or which do not otherwise confirm with these Terms. Advice about your legal rights is available from your local Citizens’ Advice Bureau or Trading Standards office. 5.4 Payment of all Goods must be made in advance. We accept payment with Visa, Maestro, Mastercard and American Express payment cards. 6.1.1 Most deliveries will be delivered via pallet max size 1.2m2 on various occasions this will be made via package depending on size and circumstance. 6.1.2 If you need alternative delivery please contact customer services first and they will arrange this at additional cost. 6.3 If we are not able to deliver the whole of the Order at one time for any reason including operational reasons or shortage of stock, we may deliver the Order in installments. We will not charge you extra delivery costs for this. If you ask us to deliver the Order in installments, we may charge you extra delivery costs. Each installment shall constitute a separate contract. If we are late delivering an installment or one installment is faulty, that will not entitle you to cancel any other installment. 6.4 We will take reasonable steps to meet the delivery estimate set out on the Order (or as otherwise agreed between us in writing). However, occasionally delivery may be affected by factors which we do not control and so cannot be guaranteed. We will let you know if we become aware of an unexpected delay and will arrange a new delivery with you. We shall have no liability for late delivery except where time has been made the essence of the contract and agreed by both parties in writing at time of ordering. 6.5 Please advise us if access to the delivery address will be difficult for an 8ft 6in wide, 30ft long high-sided vehicle. Should any doubt exist, please contact our Distribution Dept on 0844 800 9398 to make alternative arrangements. 6.6 Wherever possible, deliveries will be made using our own fleet of vehicles with a two man crew. Where a carrier service is required i.e. overseas deliveries, small parcels or express deliveries, we will use a carefully selected carrier service for your order. The service standard for these carrier service orders is delivery to the nearest access point to the delivery address. If help and assistance is needed to put the goods inside your property, we recommend you contact our delivery team for advice on 0844 800 9398. 6.9 Once received, please check all goods before signing the delivery note. We reserve the right to refuse claims for damaged or missing goods made after this time unless a longer period of time has been previously agreed in writing. 6.10 We strongly advise you to arrange delivery at least 14 working days in advance of any installation work to allow sufficient time to check your order and to allow any natural materials to acclimatise; or to rectify any incorrect, delayed, damaged or postponed deliveries (for whatever reason). This will allow sufficient time to postpone your installation if necessary; we cannot accept responsibility for lost working time in any eventuality. 7.1 Installation constitutes acceptance of the product. 11.1 Should you wish to return your Order following delivery you may do so by informing us within 3 working days of receipt of delivery. Goods must be returned to us and we ask that you take great care when handling the Goods and return the Goods to us unopened, unused and in their original undamaged packaging. 11.1.1 Please confirm your intent to return the Order by calling Customer Services on 0844 800 9398 within 3 working days of receipt; we will confirm to you a returns address and reference for your package. 11.1.3 We are not responsible for any loss or damage to any returned Goods in transit and as such, we recommend that you return the Goods through a recorded delivery / tracked service. 11.1.4 When returning goods please carefully package the Goods together with your returns reference. 11.1.5 If returned goods are lost or damaged in transit, we reserve the right to charge you for any loss or damage. 11.1.6 Where we have agreed to the return of goods, these goods must be returned within 7 days of the notice of intent. 11.1.7 We do not accept returns on “Special order” Products, call customer services for further details; 0844 800 9398. 11.2In the unlikely event that the Goods do not conform to these Terms, please let us know as soon as possible by contacting Customer Services on 0844 800 9398, and we will use our discretion on how to resolve any issues. 11.3.3 ask you to return the Goods to us. 11.4 If the goods are found by us to be defective, and we have asked you to return the goods to us at your cost we will reimburse you for third party delivery costs involved in the return. 11.5 If you exercise your right to return your order, any refunds due will be refunded within 30 days. 12.1 We will not be liable or responsible for any failure to perform, or delay in performance of, any of the obligations we may have under these Terms that is caused by events over which we have no reasonable control (an ‘Unexpected Event’). 12.2 An Unexpected Event includes Act of God, governmental actions, war or national emergency, acts of terrorism, protests, riot, civil commotion, fire, explosion, flood, epidemic, extreme weather conditions, lock-outs, transport delays, strikes and other industrial disputes and difficulty in obtaining supplies. 12.3 The obligations we have under these Terms are suspended for the period that the Force Majeure Event continues, and we will have an extension of time to perform these obligations for the duration of that period. We will take reasonable steps to bring the Force Majeure Event to a close or to find a solution by which the obligations we have under these Terms can be performed despite the Unexpected Event. These terms and conditions only apply if you are dealing with us as a consumer. If you wish to trade with us in the course of your business, please refer to our trade terms and conditions. Please contact Trade Sales on 0844 800 9398 for more information. 14.1 English Law is applicable to any contract made under these Terms. The English and Welsh courts have non- exclusive jurisdiction. 14.2.2 if it would be enforceable if amended, it will be treated as so amended. 14.3 All notices sent by you to us must be sent to NTC Distribution Ltd at the registered offices above. We may give notice to you at either the e-mail or postal address you provide to us in the Order. Notice will be deemed received and properly served twenty four (24) hours after an e-mail is sent or two (2) Working Days after the date of posting of any letter. 14.4 Except as explicitly set out in these Terms, no contract will create any right enforceable by virtue of the Contracts (Right of Third Parties) Act 1999 by any person not a party to it. 15.1 We may change anything on our website at any time, at our discretion. 15.2 We have no responsibility for the content of any websites other than our own even if our site links to the other website. 15.3 We retain all rights to our website design and all images on it. We have copyright and other rights to the design, appearance and content of it. You may view and print the website only as a consumer or potential consumer from us. You may not publish, reproduce, distribute or broadcast in any format any material found within this site. 15.4 We may restrict or suspend our website (typically for repairs, introduction of services or general maintenance) and where possible we will post warnings on the site first. We will try to do this no more than is necessary, and keep the time of disruption minimal. 16.1 Natural tile company are committed to protecting your privacy and fulfilling its obligations under UK Data Protection Laws. 16.2 Natural tile company will use your personal information in order to inform you of its offers, news and new catalogues and for profiling your purchasing preferences and other marketing purposes. We may disclose your information to our service providers and agents for these purposes. We may keep your information for a reasonable period to contact you about our services in the future. 16.3 Natural tile company may share your information with other Companies in our group and organisations who are our business partners. We or they may contact you by mail, telephone, SMS fax or email to let you know about any goods, services or promotions which may be of interest to you. • Personal data must be processed fairly and lawfully. • Personal data must be obtained only for specified and lawful purposes. • Personal data must be adequate, relevant and not excessive. • Personal data must be accurate and kept up to date. • Personal data must not be kept for longer than necessary. • Personal data must be processed in accordance with the rights of data subjects. • Measures against unauthorised or unlawfully processing of personal data. • Personal data must not be transferred to a Country or territory outside the EEA without adequate protection or explicit consent. What is a cookie? -A cookie is a small amount of data, which often includes an anonymous unique identifier that is sent to your browser from a website's computer and stored on your computer's hard drive. Each website can send its own cookie to your browser if your browser's preferences allow it, but (to protect your privacy) your browser only permits a web site to access the cookies it has already sent to you, not the cookies sent to you by other sites. Many sites do this whenever a user visits their website in order to track online traffic flows. Cookies record information about your online preferences. Users have the opportunity to set their computers to accept all cookies, to notify them when a cookie is issued, or not to receive cookies at any time. The last of these, of course, means that certain personalised services cannot then be provided to that user and accordingly you may not be able to take full advantage of all of the site’s features. Each browser is different, so check the "Help" menu of your browser to learn how to change your cookie preferences. If you have set your computer to reject cookies you can still browse naturaltilecompany.co.uk anonymously until such time as you wish to register for the full range of services. Use and storage of your personal information - When you supply any personal information to this site (e.g. for competitions or registration) we have legal obligations towards you in the way we use this data. We must collect the information fairly, that is, we must explain how we will use it (see the notices on particular web pages that let you know why we are requesting the information) and tell you if we want to pass the information on to anyone else. In general, any information you provide to us will only be used within Natural tile company and by its agents and service providers. Your information will be disclosed where we are obliged or permitted by law. Also, if you post or send offensive, inappropriate or objectionable content anywhere on or to this site or otherwise engage in any disruptive behavior, we can use whatever information that is available to us about you to stop such behavior. We will hold your personal information on our systems for as long as you use the service you have requested, and remove it in the event that the purpose has been met, or, in the case of registration with naturaltilecompany.co.uk, you no longer wish to continue your registration. Where personal information is held for people who are not yet registered but have taken part in other services (e.g. competitions), that information will be held as long as is necessary to ensure that the service is run smoothly. We will ensure that all personal information supplied is held securely, in accordance with the Data Protection Act 1998. 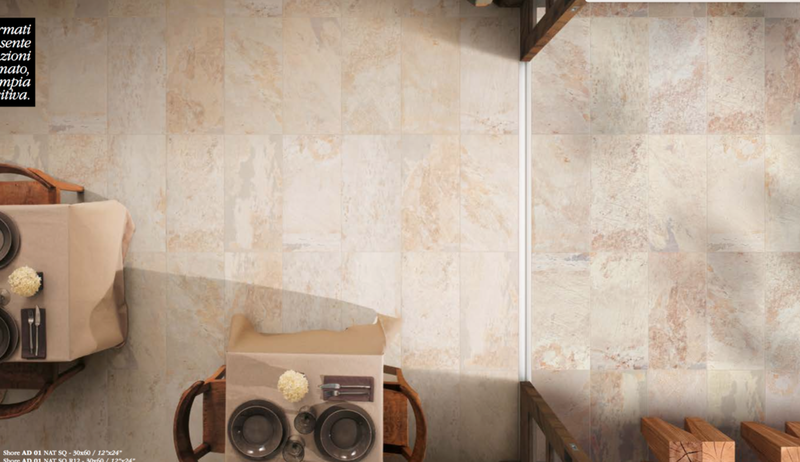 If you are notified on naturaltilecompany.co.uk site that your information may be used to allow Natural tile company to contact you for "service administration purposes", this means that Natural tile company may contact you for a number of purposes related to the service you have signed up for. For example, we may wish to provide you with password reminders or notify you that the particular service has been suspended for maintenance. We will not contact you for promotional purposes, such as notifying you of improvements to the service or new services unless you specifically agree to be contacted for such purposes at the time you submit your information on the site, or at a later time if you sign up specifically to receive such promotional information. Users 16 and under - If you are aged 16 or under, please get your parent/guardian's permission beforehand whenever you provide personal information to this site. Users without this consent are not allowed to provide us with personal information.